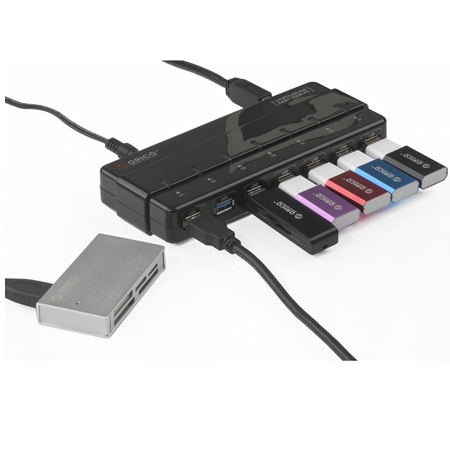 Super Speed USB 3.0 supports transfer rates up to 5 Gbps and is backward compatible with USB2.0/1.1. 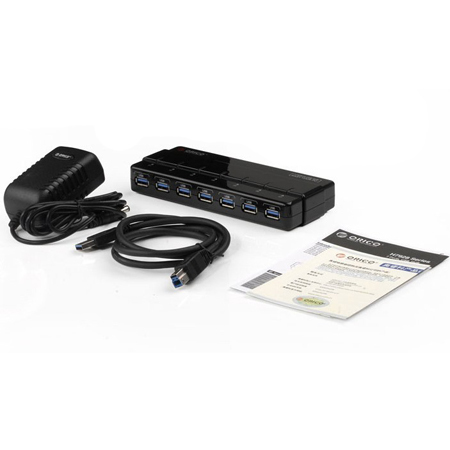 7 ports with current overload detection and protection function. A built-in LED indicator shows the USB and DC power supply status and connection state of attached USB peripheral devices. 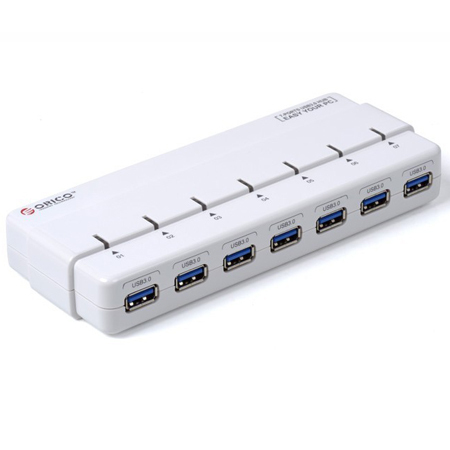 USB 3.0 fans will truly appreciate this Orico new super speed 7-port hub. Its sleek, compact design and high performance make the Orico an excellent companion for busy techies on the go. This amazing hub comes in white or midnight black to match your other compatible devices. 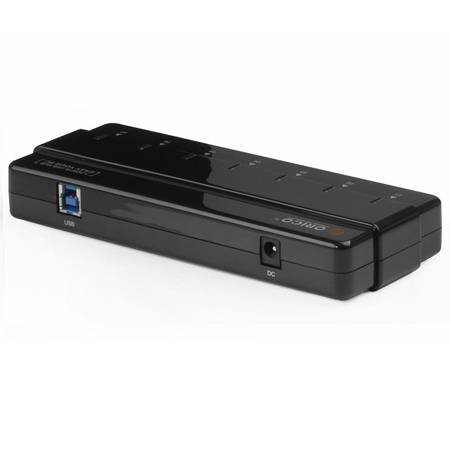 The Orico hub also comes equipped with a 12V 2A adapter so you can stay powered up all day long. 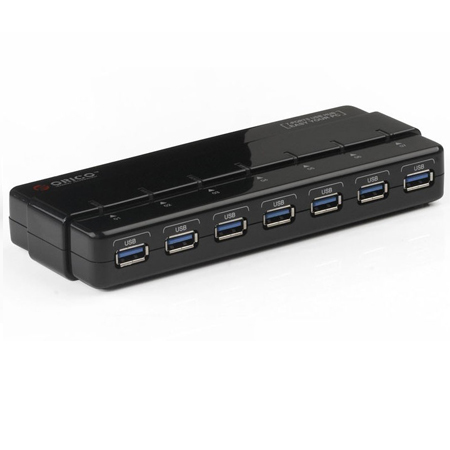 * The compatibility of Logitech devices with USB3.0 hubs is not very good. This happens to all hubs, not just ours. 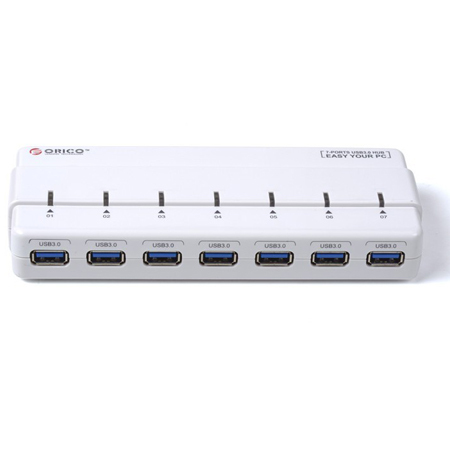 We do not recommend use of USB3.0 hubs with Logitech devices. * The hub works normally when both connected to the power and PC/laptop. (It will not charge your iPhone or iPad, if only being connected to the power adapter). 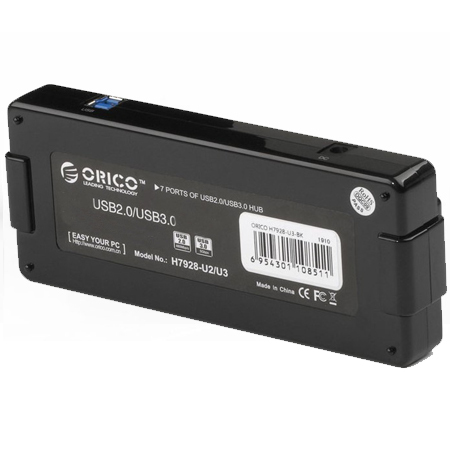 We are a manufacturer representative and distributor of Orico USB 3.0 7 port Hub with USB 3.0 Cable and Power Adapter, notebook batteries, laptop batteries,Mobile Phones,Surveillance Equipment,Security & Surveillance, battery chargers and other accessories.